Set off up the Black Avenue. Greeted with a low-flying mewling buzzard. It’s warm and pleasant and overcast. Top the hill and down the long stretch towards the treatment plant. Recently-laid tarmac path overgrown with lanky annuals, all keen to exploit the freshly-turned earth. Turn left up the long draw past St. Catherine’s Well and out into the open park. Rooks poking about for leatherjackets in the manicured grass. Songbirds flit in and out of the brambled hedgerows. Right turn by way of change past the unfinished pond and the dog park and down the zig-zag hill towards the ruined 18th century penal church, surrounded by a riot of annual and biennial wildflowers: poppies, thistles, teasel. Teasel are about to flower; romantic notions suggest this may indicate dyeing and weaving in ancient times (the hooked seed heads were once used to nap woollen cloth). In reality, they are just adept at exploiting recently-broken ground, and this hill hides recently-buried water mains. Now over the bridge and into South Dublin County, and along by the river which is so low you could walk across without troubling your knees. The surroundings look lush and the water ‘fishy’ but I have never wet a line here and cannot vouch for the river’s generosity. Beyond the weir are shrieks and whoops and I discover several youngsters floating about on strange blow-up boats. They seem to be well kitted out with jackets and helmets, and supervised by a man in a canoe. Touch the graffiti wall at the Italian Embassy boundary and double-back. This time turning right over the bridge towards the Beech Tree, which has lost a little of its majesty when the top, crowning limbs were lopped in a genuine attempt to prolong the life of the undisputed king of trees in this domain. Highland cattle browse the wetlands. Mallards land in the shallow water. 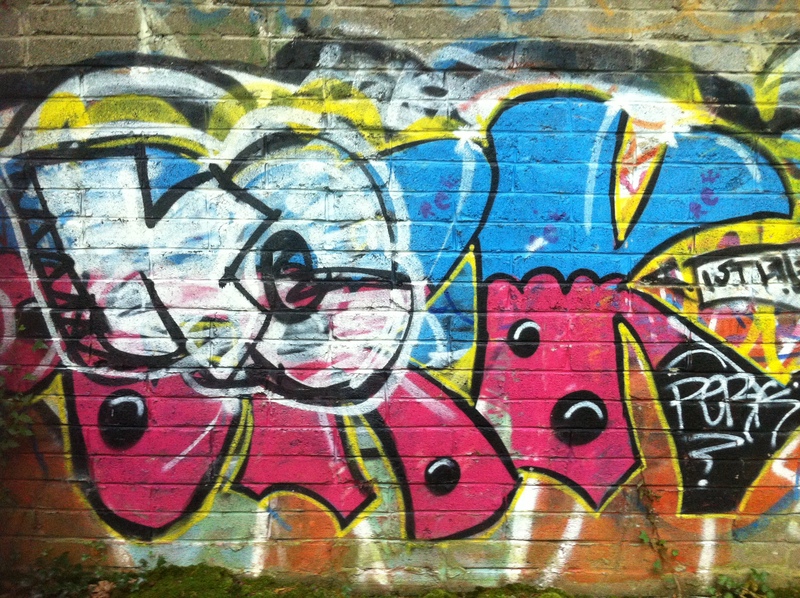 The graffiti wall marks the boundary on the eastern side of the Park, south of the river. On up into the woods. The Spring flowers that make this run so appealing are all long gone, and the predominant beech shades all. The waterfall is dry and the limey earthen deposits look strangely out of place like a film set awaiting the main actors. Up the switchback path to test the calves and along the top path. 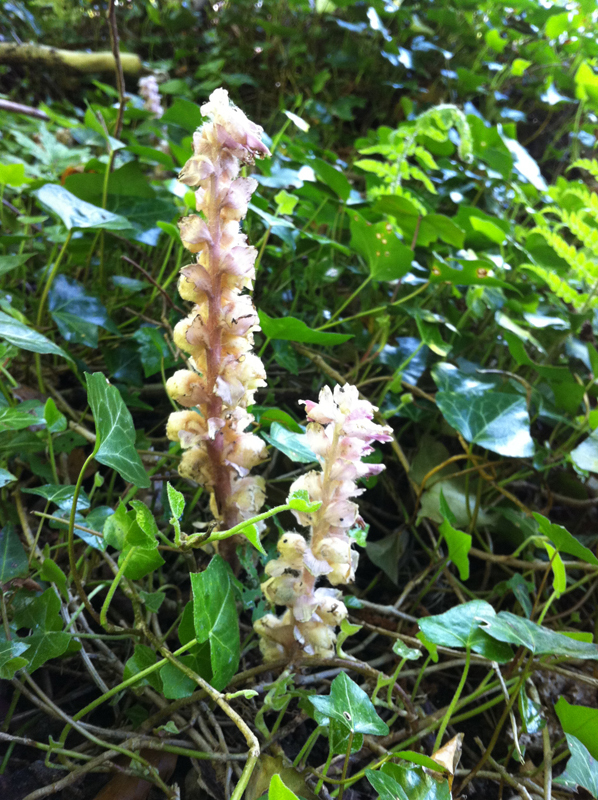 No sign of the Toothwort – that indicator of ancient woodland, though it thrived here before the path was ‘restored’. A single young Yew tree signals the beginning of the path’s end, and then out towards the Clonee Road for yet another symbolic touching of the barrier to mark another point on the route. Home stretch now, past the wonderful new playground, and out parallel to the railway lines. The constant companion has been whispering at me all along. My time and distance, but more importantly, the pace. Pace. That monkey on your back. As unavoidable as death and taxes to the runner. Pace is everything. We seem to have started off well, me and her. Her shall be Delilah. Delilah is a voice from SmartRunner. I don’t even know if I can change her. Not sure now if I should. Every 5 minutes and every hard-earned kilometre, and Delilah will whisper in your ear. Not words of encouragement. Not words of disappointment. Just a load of binary code telling you what you already knew in your heart. You are slowing down. Again. Just to prove a point, pick up the pace for the last ten minutes or so. Put in a good show. One in the eye for Delilah. Delilah doesn’t react, other than to suggest that my efforts were rewarded with an average of 10.3km/h. Maybe if she could ponder these figures, she could point out that a longish training run at the end of the week’s labours is supposed to be easy on the legs. Putting in the effort to prove a point to a micro-computer isn’t really good sense. And so ends the first week, where we started to pack our things for the big climb. Base camp is the Half Iron in September. That will be a true benchmark of progress. Delilah will not be joining us on that sojourn. Maybe just as well. She wouldn’t appreciate the cold, salty depths of the Irish North Channel, and I wouldn’t appreciate her constant reminders of flagging pace. 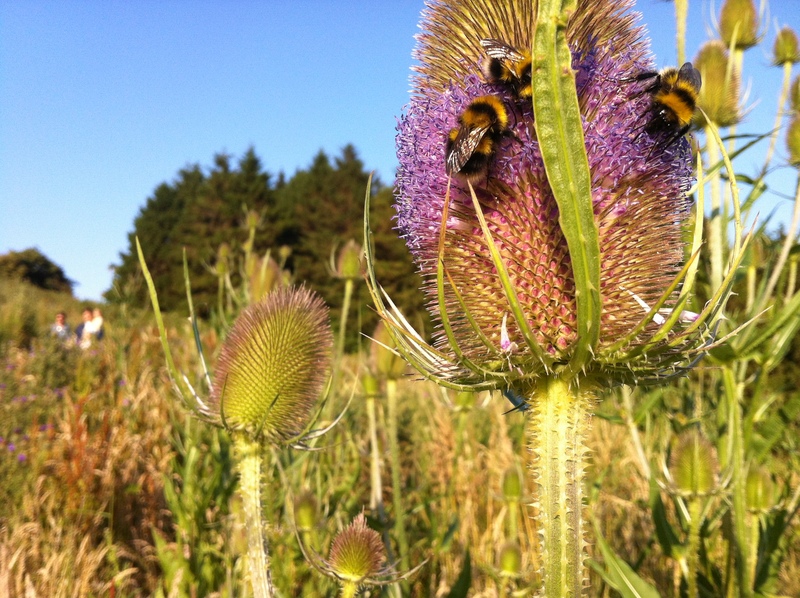 Bumblebees on a flowering Teasel. Check out this link if you fancy reading more about the flora, fauna and history of the Park. * We took Holly up the dog enclosure, and true to form, the old lady was not impressed. She can fetch a stick like a true hunting dog, but doesn’t lower herself to larking about with her fellow four-legged friends. She treated the whole thing with disdain and we gamely soldiered on, chatting to other dog-owners before finally admitting defeat. Holly, it would seem, doesn’t do dog enclosures.